Finally finished! This project is off the hook and is being blocked. Next step, delivery! This baby blanket has been in the works for some time. The pattern, chosen by the friend I’m making it for, is Granny Square Baby Blanket from daisycottagedesigns.net. I decided to modify the original pattern by added two more rows to the center color block and then graduating the color rows from four rows to two rows. 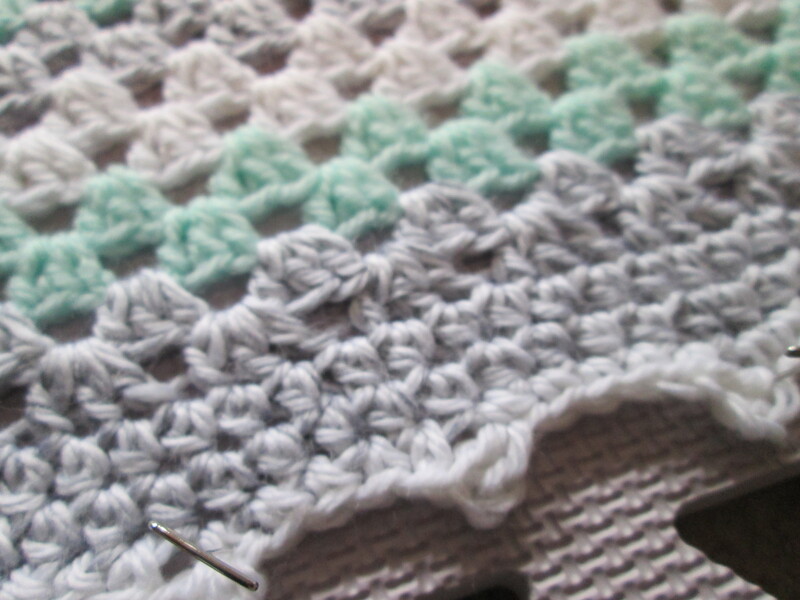 In addition, a used two rows of half-double crochet as part of the edging before adding the picot trim. 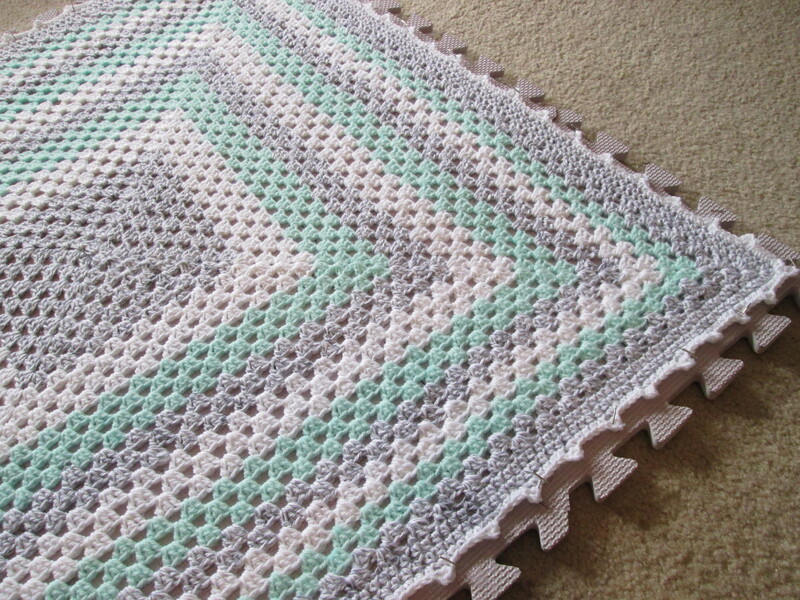 The finished size is approximately 34″ x 34″ using Bernat Softee Baby yarn and a size H hook. Can’t wait to deliver the finished product and see a photo of the new baby when she is born! Sometimes we all need a little boost and some hope. Yesterday was an important day for a friend. She finished her last round of chemotherapy for breast cancer. This was after multiple surgeries and treatment over the course of the last twelve plus months. How appropriate that she finished her treatment this month, since October is Breast Cancer Awareness Month! She has definitely has been an inspiration to me (I battled ovarian cancer almost five years ago) and to many, many others. Her strength, humor, and determination show what an individual can do when faced with adversity. On Saturday, she will be walking in the Susan G. Komen Race for the Cure, which is being held in Hunt Valley, Maryland. I made this Pink Hope Scarf to help keep her neck warm in the chilly early morning weather (and of course to add a little extra pink). I’ll be cheering her and all the other walkers (and runners) on and hope you will too!